I realized I had left my phone in Airplane Mode. 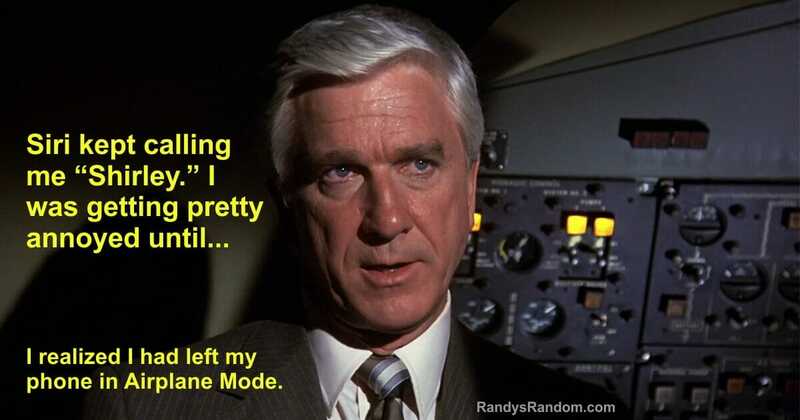 Dr. Rumack (Leslie Nielsen): You’d better tell the Captain we’ve got to land as soon as we can. This woman has to be gotten to a hospital. Previous Meme: What Are the Odds?